Barbara R. Cunningham, Psy. D.
In the late 1950’s, Dr. Murray Bowen (1978) observed that seemingly cured schizophrenic patients relapsed upon returning home to their families soon after they were discharged from inpatient treatment programs. After observing this phenomenon, Dr. Bowen decided to try hospitalizing the schizophrenic along with his/her entire family, and he obtained more favorable results. Out of this clinical discovery, Bowen (1978) came to conclude that the family, rather than the individual, was the proper unit of treatment. His unique new approach assumed that all families operated from a highly emotionally interdependent position. Furthermore, the more interdependent the members of the family were, the more highly fused each individual was with the other. Finally, the more highly fused the family system was, the more vulnerable the family would be to developing symptoms that often were carried by one family member for the whole system. As such, he labeled the family unit an “undifferentiated ego mass.” Families could increase the level of their collective health by increasing the level of individuality of each member, an individuality that could choose when to be separate and when to remain connected. If family members are viewed as highly interdependent, it must also be assumed that linear models of causality cannot account for, nor effectively treat, their substance abuse and dependence, for such models ascribe to “fixing” an identified patient. It is not a big leap of logic to move from the notion that one family member needs to be “fixed” to the notion that the person in need of “fixing” should be blamed. The substance and/or the individual become labeled as “the problem.” However, Bowen’s theory assumed that, identifying multiple variables to account for symptoms present in the system would be more likely to affect real change, with the therapy aimed at interrupting multigenerational patterns of transmission within the family system. When a treatment protocol aims to change the structure of a system instead of aiming to change the behaviors of an individual, treatment outcome has achieved second order change, as opposed to first order change (which merely decreases individual symptomology and is likely short term). Second order change is long term and means that the game itself has been changed rather than only the rules (Harper & Capdevila, 1990). Within the worldview of Bowen family systems theory, therapists are offered a distinctly different approach to treating emotional problems such as chemical abuse and dependence. Such an approach thus represents a paradigm shift in the field of chemical dependence. Bowen (1978) posits that “Therapists with the motivation and discipline to work towards systems thinking can reasonably expect a different order of therapeutic results as they are more successful in shifting to systems thinking” (p. 262). Bowen family systems theory offers a worldview that is functionalist. Symptoms serve a function in the system. No matter what the symptom, whether alcoholism, addiction, or other symptoms, it reflects the system’s attempt to adapt to relationship pressures. From the perspective of Bowen family systems, symptomic patterns evolve and are passed on through the generations (Bowen, 1978). It is of little use to treat a symptom as if it resides solely in the individual. Symptoms are part of the fabric of the family system as it moves through time. Research conducted by Nyman and Cocores (1991) corroborates Bowen’s (1978) theoretical assumptions. They found that addicts whose families participate in treatment have better outcomes than those addicts who are treated alone. Similarly, Mann (1991) asserts that treating the patient as an isolated entity almost guarantees a poor outcome. Without considering the family as the unit of treatment, achieving more than symptom relief may not be possible. In many treatment programs for the impaired physician, his/her family members are virtually ignored, or at best, viewed as support systems cheering on the patient from the sidelines. Family members are not really treated, but instead are provided with psychoeducation to aid them in supporting the recovery of the impaired physician, who is the identified patient. Rehabilitation facilities that direct family members to attend Al-Anon and/or psychoeducational support groups frequently, but erroneously label such rehabilitation efforts as family-centered treatment. However, to ignore a systemic treatment of the family is akin to taking the impaired physician out of a whitewater current, resuscitating him, and then throwing him right back into the torrential waters. To underline the veracity of this metaphor, Talbott (1987) found in an analysis of 500 physicians followed for four years subsequent to treatment that the relapse rate was higher when the spouse was uninvolved and untreated. The need for a systems approach to treating the impaired physician and his/her family is supported in the research. Gabbard and Menninger (1989), for example, concluded that physicians tend to be less happy in their marriages than many other professions. In fact, the researchers emphasize that physicians’ long hours are not the cause of their marital problems. Instead, it became apparent that doctors’ excessive work often resulted from their desire to run away from facing marital tensions. Thus, members of the medical profession may be self-selected as people looking to compensate for past wounds and/or looking to gain other-validation from society, instead of as people who are capable of self-validation and who have the maturity to tend to their most intimate relationships in a genuine and courageous way. Therefore, it also seems possible that the same intimacy-avoiding factors leading people to choose a career in medicine may also predispose them to a preoccupation with excessive work, troubled intimate relationships, emotional struggle, minimal self-care, and vulnerability to substance abuse and depression. Sotile and Sotile (2000) agree that many physicians may choose their career to soothe early family-of-origin wounds. Johnson (1991) notes that several separate studies have concluded that a disportionate percentage of doctors experienced childhoods deficient in nurturing attention. For example, Vaillant, Sobowale, and McArthur (1972) reported on the psychological vulnerability of physicians. According to their prospective study, doctors were more likely to experience problems with drugs and alcohol, require psychotherapy, and have marital problems then were other matched non-health professional controls. These researchers believed that physician vulnerability correlated with unmet personal needs. In fact, Vaillant et al. noted that some doctors choose a medical career to help themselves by helping others. The research concluded that these doctors were unusually dedicated in the extreme to the well being of their patients, to their own detriment and often that of their families. Following from the above-cited research, it can be argued that people in fields such as medicine overfunction for others as a way to avoid healing early unresolved attachment issues. Such avoidance of resolution of attachment dogs them throughout their life course, contributing to ever-increasing chronic levels of anxiety and resulting in problematic adult/family relationships. In the avoidance of dealing with relational issues within and between the generations, the immaturity of the nuclear family system contributes to escalating emotional regression from generation to generation (Kerr & Bowen, 1988). One way that this emotional regression may express itself is substance abuse. The substance abuse may likely be an avoidant way to deal with stress learned from previous generations and becomes rigidified into the family system over time. Without interrupting the cycle of relationship anxiety bound up in substance abuse, addictive behavior continues to be a legacy for future generations. By the time alcoholics or addicts face the upward climb toward recovery, they have grown to recognize that they have areas of growth and maturity that are intact and otherareas which have not been addressed. Their coping skills are like a piece of Swiss cheese, with solid areas representing age appropriate coping skills, and the holes representing coping skills which have not been developed through learning and creativity. This partial vacuum represents a maturity deficit, and a good part of thislack of maturity is likely due to the avoidance of facing one’s uncomfortable feelings. If these feelings are avoided through learned family patterns, it may lead to binding the resultant anxiety with addictive behaviors. In the face of this pattern, existing levels of maturity within one generation may regress to even more immature levels in subsequent generations. Isomorphic to addicted or alcoholic people’s frequent avoidance of facing discomfort is the unfortunate lack of in-depth training in medical school curriculums to help training physicians recognize and treat substance-related disorders in themselves or in others (Robb, 1998). Many physicians do not understand that in order for them to “first, heal themselves,” they must first gain awareness of the anxiety driving many in their number when they are called upon to heal others. For example, in a study of addiction to prescribed medications, Gilbert (1994) concluded that part of the problem in treatment is rooted in a relationship problem between the prescribing physician and the patient. Gilbert used the theoretical framework of Bowen family systems theory to explain the relationship problem as an overfunctioning/underfunctioning reciprocity. Because of a physician’s anxiously-based need to “fix” a distressed patient,he/she assumes an overfunctioning posture in his/her relationship with the patient. Such anxiety on the part of the treating professional may result in over-prescribing medication, an outcome likely based in the doctor’s unawareness of relationship reciprocity. The anxiety in the physician may be interpreted as a lack of faith in the patient’s potential to resolve his problems without medication. Thus, the doctor’s lack of work on learning to recognize his/herown triggers to anxiety may contribute to a patient’s development of an addiction. While physicians may not deliberately overfunction, they may be acting out their own family-of-origin patterns, unaware that their interventions are playing a part in the problem. If physicians become anxious enough about whether they can “fix” discomfort in another, they will go into their “automatic.” The reversion to automatic functioning is a red flag that anxiety is present in the treating professional, in that he/she has an exaggerated need to rescue the patient. It is likely that the physician’s patterns originated and were kept alive in his own family emotional system. The need to save others may be a distraction from facing the doctor’sown demons and may result in a doctor who ignores principles of good practice and prescribes inordinately high doses of medication. By hiding behind postures of omnipotence, invulnerability, and self-importance, physicians may also assume dysfunctional leadership in their respective families. The leader of the family sets the tone and tempo for members’ management of their own emotions within the system. The anxiety of the leader of a system determines the overall level of anxiety of its members (Friedman, 1991). If physicians overfunction for others, anxiously distance from dealing with their familial relationships, and use their work as yet another place where they can reinforce self-concepts of omnipotence and self-importance, the family system is in trouble. Indeed, important research concludes that impaired medical families run from facing their emotional wounds (Sotile & Sotile, 2000). Members of the medical family system may come to depend upon the strong validation they receive from a society that holds them in the highest esteem. This social affirmation substitutes for the self-validation upon which genuine mental health is based. Whether physician, spouse, or child, society’s applause for the medical family provides opportunity to receive care and attention that may not have been provided in the respective partner’s families-of-origin. Spouses of physicians in highly fused families, for example, may experience a vicarious sense of grandiosity. The spouse idealizes and identifies with the medical profession in their role as doctor’s spouse. Thus, they “borrow self” from their partner, maintaining a pseudoself that creates a fragile sense of identity that may be easily shattered when normal and abnormal stressors mount. Many impaired physicians protect their ability to maintain a future practice by participating in State Diversion Programs. Such programs, such as the Diversion Program in the state of California, are based on the disease model of alcoholism and addiction. Participants are taught that their abuse and dependence is a “disease” that is incurable but manageable. Such labeling may relieve some impaired physicians of the shame associated with their impairment. To others, however, such labeling is a ready opportunity to absolve themselves of taking responsibility for their recovery. Diversion programs usually require physicians to participate in AA programs, and such 12-step programs are also based in the disease model. To label oneself as an addict or alcoholic publicly and to ascribe to the notion that one’s relationship to abuse and dependence is lifelong may stigmatize and disempower some physicians and their families. Furthermore, to require physicians, spouses, and children to respectively attend AA, Alanon, or Alateen if they do not believe in God or a higher power, is, at best, disrespectful, and at worst, alienates them from other aspects of treatment that may be useful to them. With the focus of treatment remaining on one individual rather on than his/her family system, the disease concept minimizes the multiple variables accounting for symptoms and maintaining the problem. Lawson and Lawson (1998) underline this problem with existing treatments, emphasizing that treatment and prevention must take a multicausal approach if one is to interrupt multigenerational patterns of abuse and dependence. In fact, they cite Morgan (1981), who suggests that the disease model lets society off the hook for taking responsibility for its part in the etiology and maintenance of social problems when individual treatment is emphasized. A treatment and relapse prevention protocol for impaired physicians and their families informed by Bowen Family Systems Theory, a family systems model, offers great promise for achieving long-term, positive results. Impairment cannot be understood apart from the multigenerational context in which it occurs. In a groundbreaking article he published regarding alcoholism and the family, Bowen (1978) offers a roadmap to treatment providers who wish to utilize a non-linear systemic treatment when working with the impaired physician family. Broad application of Dr. Bowen’s ideas regarding this symptom and how to effect treatment are outlined below. From the perspective of Bowen family systems theory (BFST), chemical dependence is one of the prevalent human dysfunctions. Like all dysfunctional patterns in a family, one cannot conceptualize this behavior without viewing it in the broader context of an imbalance in functioning in the whole family system (Bowen, 1978). Treatment is aimed at raising each family member’s awareness of the part he/she plays in maintaining the symptom. The treatment is initiated with the family member who has the greatest motivation and ability to modify his/her functioning in the system. Often this is the family member who is in the greatest pain. Pain that is not so overwhelming as to paralyze efforts to move forward yet that provides enough discomfort to welcome change may be the host to resourcefulness. Bowen offered the unique insight that “When it is possible to modify the family relationship system, the alcoholic [or drug addicted] dysfunction is alleviated, even though the dysfunctional one may not have been part of the therapy” (p. 262). BFST is comprised of eight interlocking concepts. Although it is difficult to conceptualize them apart from one another, certain key concepts will briefly be reviewed herein to underline how chemical dependency dysfunction fits into the theory. Bowen (1978) emphasized that human beings share more similarities than differences with other forms of life. Perhaps the most salient shared feature is that the organism will react defensively to any real or imagined threat to survival. This effort to survive may be physical, emotional or a combination of both. At some levels of differentiation, the clinician will observe that anxiety is so continuously present in life that it is a fact of the individual’s and family’s patterns. This heightened reactivity need not necessarily be stimulated by real or imagined threat (Gilbert, 1992). Instead, the anxiety is chronic, having been passed along in a family system for years and probably over generations. Whereas chronic anxiety strains or exceeds people’s ability to adapt, acute anxiety usually is a response to a real (as opposed to a perceived) threat. It is an experience of limited duration, and people can usually adjust to acute anxiety relatively easily. Acute anxiety is based in fear of what is while chronic anxiety is based in fear of what might be (Kerr & Bowen, 1988). People who exhibit high levels of emotional reactivity in response to minor or even imagined stresses tend to have a lack of healthy boundaries and a tendency to act and react without thinking. The Bowen-trained therapist wants to move families toward decreasing their reactivity to one another and toward increasing their ability to respond to one another thoughtfully or with their best thinking. Bowen family systems theory is centered around the emotional system’s struggle with two opposing, instinctual life forces: those forces that bind personalities keeping family members connected,and the contrary forces that fight to break free toward individuality (Bowen, 1978). One force is oriented toward togetherness, and the other force is oriented towardseparateness. From the perspective of Bowen family systems theory, the two vectors within the familial environment influencing chronic anxiety are people’s reactivity to their personal space being intruded upon and their complementary need for connection (Kerr & Bowen, 1988). The cliche “Can’t live with them and can’t live without them” describes this common dilemma. Patterns of emotional functioning are all related to the ways a family deals with its members impinging upon one another or, in reaction to impingement, disengaging from one another (Kerr & Bowen, 1988). Bowen (1978) viewed emotional fusion as one of the main problems causing emotional disturbance. Intrapsychic fusion describes a lack of differentiation and clarity between cognitive and affective functioning. Bowen (1978) explains, “The capacity to differentiate between thoughts and emotions allows some choice over being directed by one’s ‘head’ or by one’s ‘gut’” (p. 62). He notes that what sets humans apart from other species is their ability to think and their ability to be aware of the difference between their thoughts and emotions. However, if the human organism and/or system becomes overwhelmed with anxiety, cognitive ability may become compromised or even shut down. If the cognitive ability shuts down, the human species operates just as reactively and instinctually as other species that do not have the advantage of a highly evolved intellect. Interpersonal fusion describes a lack of differentiation between oneself and others. It manifests itselfin a way that disallows a person from knowing where he/she stops and another begins. When fusion is intense, family members have no separate identities. Intense fusion results in family members making “we” rather than “I” statements. Husbands and wives who complain that they cannot live with theirspouse or without them are describing an inability to manage effectively the universal conflict of these opposing life forces. The disowning of interdependency needs reflects tradition and cultural norms in Western civilization. Pseudo-attitudes of independence are glorified in the movies, where John Wayne is seen as hero. This sort of denial of feelings of interdependence can be a slippery slope toward using substance as a way to feel less vulnerable. Importantly for the physician family, it has been suggested that a disowning of the needs for family ties may be a motivating factor for some people who choose a medical career (Twerski, 1982). The intensity of the environment in the hospital and long work hours may contribute to a person’s wish to at once feel needed and emotionally connected while at the same time providing distance from his/her important family relationships. While it is well known that the hallmark of addiction is denial,it is more salient to look beneath the surface and realize that is within the denial of needing others that chemical dependency thrives.Thus, the problem of alcohol, addiction, or any other chronic dysfunction may be viewed as an outcome of avoiding resolution of attachments in the relationship system. The smoothest period between partners is during courtship (Kerr & Bowen, 1988). Predictably, however, relationship tension may escalate to problematic proportions over time. Typically, when two people marry, the emotional patterns that first attracted them to one another may intensify. As the relationship develops and as day-to-day stressors remind them of their heightened emotional interdependence upon one another, each partner may become reactive and even disgusted by the personality characteristics that attracted them to one another initially. McKnight (1998) observed that “The more intensely a person seeks to fill the emotional deficits of the other or to have another shore up his or her life, the more fused the marriage relationship becomes” (p. 272). When people with high levels of need for togetherness marry, each partner invests heightening levels of “self” in the other. This fusion becomes more binding as the sharing of daily living duties heightens their need for one another. Unlike during courtship, when they experienced more freedom to be themselves, the spouses begin to assume that they can mind read the other and begin to behave “as if” they know how the other will react. The couple becomes like two cells that have merged and now have one nucleus. Neither can chart independent goals. It is as if they are one organism. One spouse feels swallowed up in the relationship; the other spouse becomes drained from being hypervigilant lest he/she not be abandoned. A heightened sense of dependence upon another can raise chronic anxiety in a system. Heightened anxiety may result in increased efforts to cope by creating distance. Drinking and/or drug abuse is one way to achieve this distancing in the short term, but in the long term, the heightened anxiety that the abuse causes in the members that depend upon the abuser creates increasingly complex problems in the system. The relationship system in each spouse’s family of origin influences the degree of the desire for emotional closeness in the marriage. If people have emotionally cut off from their respective families of origin, for example, there is enormous pressure upon the nuclear family to be everything to one another. The high degree of investment in their spouses and children is based in a wish to compensate for the emotional deficits from their own families. Disappointingly, the pressure has a deleterious affect on the union, and anxiety rises within such a context. People may find that they married someone with a similar degree of neediness. As the disappointment, depression, and loneliness mounts, these people experience conflict with their spouses and may look to their children to fill the void of connection with their spouses. The parents then project their immature inability to deal with relational closeness/distance management in themselves onto their children, and the children become caught in the crossfire of unresolved emotional attachment. Bowen (1978) noted that when “. . . two pseudo-selves ‘fuse’ into the emotional ‘we-ness’ of marriage, [there is also] . . . a high potential for impairing the functioning of one spouse” (p. 263). The discomfort of this fusion may be handled in various ways. However, almost all fused marriages involve adaptive efforts to create some degree of emotional distance between partners. It is a reactive move based in the survival instinct to preserve self-ness. One way emotional distance is increased is through marital conflict. During the making-up phase, the couple may experience the togetherness that they missed during the distancing period. After tiring of holding onto one’s own position and not “giving in,” a partner may move back toward the other. And so it goes, in a continuing cycle of tension building, conflict, and making up. Bowen (1978) believed that the most common pattern for dealing with emotional fusion is an underfunctioning/overfunctioning reciprocity. One spouse assumes a dominant role and the other spouse assumes an adaptive role. The adaptive spouse becomes “wired” to support the more dominant, decision-making spouse. In most respects, the adaptive spouse becomes a functional “no self” (Bowen, 1978). The one who accommodates the most gives up most self to the other. This person is most vulnerable to some type of chronic dysfunction. Bowen (1978) believed dysfunctions expressing systemic chronic anxiety might include one or more of several patterns. Heightened chronic anxiety in the system may emerge as physical illness, emotional illness, or a social dysfunction, such as alcoholism or drug addiction. The other common pattern is one in which parents project their immaturity to one or more of their children. A combination of all these patterns may be present. Bowen (1978) noted that when things are calm within a family, these adaptive patterns function to maintain homeostasis in the system without serious symptoms arising in a family member. However, when anxiety escalates, the adaptive patterns lose flexibility. The patterns rigidify until symptoms erupt. Because patterns are multigenerationally transmitted, they are programmed into the nuclear family from the respective families of origin. This means the family has no conscious choice about the selection of adaptive patterns. Bowen (1978) emphasized that there is greater flexibility in a family with a spectrum of such transmitted patterns than in a family using only one or two patterns. The quality and degree to which each spouse is in emotional contact with his/her family of origin is the other key variable in assessing the adaptability in a family system. The geographical distance between them and the quality of their relationship interactions can determine emotional distance or closeness to the family of origin. It is assumed that the greater the degree of emotional cutoff from the family of origin, the more likely it is that the nuclear family will be symptomatic (Bowen, 1978). The concept of differentiation is difficult to define. Differentiation of self is inversely related to chronic levels of anxiety and may be conceptualized as emotional maturity (Kerr & Bowen, 1988). Differentiation of self is core to Bowen family systems theory,and working to increase differentiation of self is a lifelong process (Papero, 1990). The ability to choose between thinking and feeling and the ability to differentiate oneself from another person (i.e. knowing where one stops and the other begins) are the basic tenets that describe the emotionally mature or differentiated individual (Bowen, 1978). It is erroneous to equate differentiation with autonomy, individuation, or independence. Instead, Friedman (1991) emphasizes that “. . . it has less to do with a person’s behavior than . . . with his emotional being. . . . It has to do with the fabric of one’s existence, one’s integrity” (p. 141). Kerr and Bowen (1988) emphasize that “Differentiation refers to a process while individuation refers to a life force. Differentiation describes the process by which individuality and togetherness are managed by a person and within a relationship system. . . . . It is important to remember that higher levels of differentiation are also associated with the ability to allow togetherness urges a free rein” (p. 95). One’s level of differentiation of self is determined by three factors: the level of differentiation of one’s parents, the quality of relationship one has with the parents, and the manner in which one handled unresolved attachment to parents in adulthood (Bowen, 1978). Levels of differentiation may vary slightly between siblings and between generations. But the evolutionary quality to family emotional systems means that succeeding generations may move only slightly up or down the theoretical scale of differentiation from the level of their parents. From this perspective, it may take ten generations, for example, to develop schizophrenia within a family system (Kerr & Bowen, 1988). A sibling who receives more of the parents’ anxious focus will be less free to grow and develop, because he/she is more fused with one or both parents. From this evolutionary perspective, one can understand how it is that siblings turn out differently. One line of a family system may move slightly upwards with each succeeding generation while another line moves slightly downwards with each succeeding generation (Kerr, 2005). The intensity of the fusion with the parents will replicate in the marital relationship. The undifferentiated spouses tend to have an external locus of control and measure their worth through the eyes of other. Inside of their “we-ness,” there is little solid self. Instead, two pseudoselves marry and have few principles that cannot be co-opted by a pressure to conform to the needs and wishes of the other. The higher the level of fusion between the couple, the greater the risk for impairment in one or both spouses. The lower the level of the differentiation, the more each spouse operates within a reactive, feeling state and the less he/she is able to call upon cognitive functions or adapt smoothly to change. Instead of thinking through responses to stress, the person with a low level of differentiation or immaturity will blame others for their unhappiness. Additionally, at the lower levels of differentiation, a person will look to fuse into an emotional symbiosis with another or, in reaction to the symbiosis, cut off, much as one merged and/or cut off from his/her parents. Relational life takes on the quality of being reactive rather reflective or proactive. The individual with low differentiation of self has little ability to bea self independent of his/her reactions to what others say, do, or demand. “No-selves” are defined by others and have no internal compass with which to navigate along their life journeys (Bowen, 1978). Bowen (1978) believed that people who have equal basic levels of differentiation marry one another. People emerge from their families of origin with a level of functional self. This is a natural process that exists in other species as well as in humans (Kerr & Bowen, 1988). In assessing the ability of an impaired family to differentiate a self, Gilbert (1992) suggests questioning along the following lines: In what ways can an individual become freer to live his or her own life, without instinctively repeating the emotional processes of past generations? Can a person think in opposites and tolerate ambivalence arising from internal conflicts? Can a person think clearly even amidst the roiling emotional forces that affect the core of his/her being? Can a person react less automatically and more thoughtfully inside of his/her attachments? Can one tolerate remaining separate while still connected or does one rush to cutoff from uncomfortable relationships? Does an individual have the ability to be an “I” when the group is screaming to be a “We”? The differentiated person has an abiding awareness that no one person can change another (Kerr & Bowen, 1988). One cannot regulate another person’s life. Taking responsibility for self means that one learns to define self, developsa sense of one’s boundaries, and has a clear idea of one’s core beliefs and values. Differentiated people realizethat charting a course for responsible functioning in a family requires a lifetime of work, trial and error, and trouble shooting (Kerr & Bowen, 1988). One cannot significantly raise one’s level of differentiation in a few therapeuticsessions, or even within a few years. However, one can be coached onto the course of such a journey and learn to make one’s own life a research project. By being responsible for self, the entire family, of which the differentiating member is a part, is affected in a positive way. The differentiating member models his/her efforts to develop in ways he/she may not have thought possible prior to treatment. When one does not experience a sense of self and a separate identity of one’s own, defense mechanisms aimed at survival willemerge. People, for example, may cut off emotionally from those who threaten their sense of individuality. Substance abuse is one way that threatened people emotionally cut off from important others, and it is a pattern that is multigenerationally transmitted. The road in Bowen family systems therapy is to find ways to honor one’s own separateness in intense relationships and to become freer of automatic reactions to others that determined one’s life course in the past. Paradoxically, to the extent that one can honor one’s own separateness is also the extent to which he/she can remain viably connected to the others in his/her family. To accomplish this goal, the clinician guides family members to become more cognizant of his/her reactions to the family. If a family member is constantly responding to others’ needs, he/she is directed to look at internal anxiety not being addressed and to consider theover-helpfulness as a red flag that the overfunctioner is displacing/discharging his/her anxiety onto others. It is important for family members to understand the systemic concept that one person may carry the anxiety for the system, and that person is most vulnerable to developing symptoms. In working on increasing differentiation, adults are directed to look at patterns and triangles in which they are caught, so that they can develop a plan to increase definition. For example, if a child grew up favoring one parent, as an adult, he/she is directed to initiate more personal contact with the other parent to achieve neutrality. The therapist coaches the client as he/she prepares to return to his/her family of origin in a quest to gather new facts of functioning. The client and therapist may brainstorm a list of questions to ask family members. Clients are coached to engage in one-on-one conversations to gain contextual facts about each parent’s family of origin experiences. They are educated about detriangling moves and directed to look for key triangles through the generations.Additionally, assertiveness training, practice making “I” statements instead of focusing on faultfinding in the other, empty chair work, and mailed or unmailed letters written by the differentiating members (especially to parents) may be helpful in preparing journeys home. The emphasis is upon “stepping up to the plate” and taking responsibility for moving differently in one’s key triangles. Taking the focus off another and keeping the focus on oneself requires increasing discipline as anxiety rises. Yet herein lies the path to freedom inbecoming more of an individual within the family. The effort to define a self is full of twists, turns, and detours. As a person learns new ways to manage in emotionally intense relationships, there is a stronger sense of identity that emerges which allows for clearer life direction. To increase one’s functional level of differentiation, the work must be done within a person’s own family, whether he or she suffers with chemical dependency or any other category of human difficulties. The thrust of Bowen family systems therapy is to become clearer about one’s part in a family system and then to learn new ways of being in relationship that assume increasingly levels of self-responsibility. The goal of becoming more objective about observing one’s part in family dynamics may particularlyappeal to the scientist-physician. The therapy may be defined as a “thinking person’s therapy” that is not somuch for those that are “broken” as it is for those who wish to become more whole. Clients are taught systemic ideas, and, like the Bowen-trained therapist, take on the posture of researcher into their own origins. The therapy requires experiential work outside of session, in that clients are called upon to apply new concepts as they explore their family systems. Since Bowen (1978) believed that it was possible to move towards a science of human behavior, his positivist view clearly reflected his assumption that a real world exists that is independent of an observer’s subjective perceptions of it (Papero, 1990). This worldview may be attractive to the physician who is trained to be objective and detached from emotional processes. However, it is important to remember that within the effort to increase one’s objectivity by collecting facts of family functioning, one also is increasing one’s ability to be in anxious emotional fields without losing the ability to think instead of react.It is in managing this balance of distance and togetherness for oneself while at the same time honoring a significant other’s differing closeness/distance needs that one achieves a heightened level of differentiation of self. The solid self consists of a person’s core, non-negotiable, clearly defined values and beliefs. These are formed gradually and are not easily coerced or changed from outside forces (Kerr & Bowen, 1988). Building or developing a solid self is an important goal in Bowen family systems therapy. In contrast, the pseudoself can be defined as a “pretend” or false self that is acquired by emotional pressure and can also be changed by emotional pressure (Kerr & Bowen, 1988). It is made up of random, discrepant beliefs and principles, acquired because these ideas were considered “right” by the group. The pseudoself is a self with an external locus of control that conforms to the environment in order to feel a sense of belonging. During the 1980’s, the field of chemical dependency extended its focus on the family members of chemically dependent persons, generating a separate body of clinical theory and treatment for co-dependency. As Lawson and Lawson 1998) explain, “With the broadening of the context of understanding of alcoholism from the alcoholic to the alcoholic family, many nonsystemic ideas became popular in the field” (p. 317). Gierymski and Williams (1986) indicated that the term ‘codependency’ originally designated the spouse of the alcoholic, but that it came to be generalized to all family members and the chemical dependent’s close social network. Pathologizing labels such as enabler, codependent, and coalcoholic blamed family members for the alcoholic’s or addict’s problems (Lawson & Lawson, 1988). If one were to search the pop literature on co-dependency, one would find a proliferation of definitions, ranging from “a disease” to “immaturity” to “toxic brain syndrome” (Lawson & Lawson, 1988). There were even efforts in the chemical dependence field to make codependency a diagnostic entity, despite the facts and despite its deleterious effect upon the family (Babcock & McKay, 1995). The codependency movement was viewed by many, especially feminists, as an attempt to stigmatize and pathologize women (Babcock & McKay, 1995). Feminists viewed the co-dependency movement as dangerous, in that it re-victimized the victims (Lawson & Lawson, 1988). While Babcock and McKay (1995) allowed that women living with alcoholics did, in fact, suffer and that they often engaged in self-blame, the researchers took issue with the notion that their behavior constituted a disease diagnosis (Lawson & Lawson, 1988). Lawson and Lawson (1988) describe the co-dependency movement as one of hysteria, noting that the myriad definitions floating around in popular culture ultimately rendered the term meaningless. They emphasize the notion that blame and pathologizing labels are not congruent with systems theory. Alarmingly, there is a belief by many in the codependency movement that marital therapy may threaten the recovery of the chemically dependent person. Brown (1985) found marital therapy to be contraindicated for the alcoholic in early recovery, a nebulous time period, while Stanton and colleagues (1982) considered the wife to be secondary in importance to the family of origin for the addict’s treatment. Such practices may well have been the death knell for many marriages in which the symptom was alleviated, but the avoidance of the relationship tension giving rise to the symptom remained. To underline this point, Alcoholics Anonymous) has estimated that 75 percent of its members are divorced and the majority divorce after the alcoholic achieves sobriety. Marriages become unbalanced and break apart when the homeostatic balance of the family has been disturbed by the change in the functioning of the alcoholic. In sharp contrast to the co-dependency movement’s emphasis upon disease, systems theory looks to discover the ways in which family patterns are maintained, so that second order change can take place. As opposed to first order change, which merely reduces symptoms, second order change shifts systemic dynamics so that a family can improve its functioning in an enduring fashion (Lawson & Lawson, 1988). Co-dependency is often confused with the term “fusion,” which is used in Bowen family systems theory. Fusion is a term that is systemic. It is a term that does not assign blame. The symptom is not viewed as the “problem,” but rather as a way to bind anxiety around relationship tension. Symptoms are viewed as attempts at adaptation to relationship tensions. In the closeness of an intense relationship, the emotional selves of each individual blend or fuse together in a common self, a kind of “we-ness” (Papero, 1990). Fusion refers to each partner trying to deal with the intensity of this common self by using mechanisms similar to those he or she used in relationship to the parents (Papero, 1990). Conversely, the view from the perspective of the co-dependency movement is that the “problem” is rooted in the person or in the substance. This is not a systemic conceptualization. From the perspective of BFST, the problem is not in the person or dyad, but in the multigenerational system, each generation of which passed on ways tobehave in relationship around closeness and distance. The difference between codependency and fusion is very important to understand. To reiterate, alcohol or drugs are not viewed as “the problem,” from a systemic perspective. Instead, alcohol or drugs are viewed as one of many possible ways to bind anxiety in response to tension in the relationship system. People reach adulthood with varying degrees of basic self; in other words, basic self was only partially formed in the family of origin (Gilbert, 1992). People with low levels of basic self are less differentiated than people with higher levels. At the lower levels of differentiation, people tend to fuse with important others. They look to others to complete them and act automatically out of their instinctual emotional system. People who are fused with others act as if they are one organism, and their actions are often outside their awareness or “automatic.” In adulthood, people with little basic self tend to try to complete or compensate for the lack of sense of self in relationships with others. People who tend to fuse in adulthood are lower on the differentiation scale than people who have more basic self. They may be at risk to become chemically dependent or tochoose partners to “save and rescue” from drugs and alcohol, especially if multigenerational addictive patterns exist in their familysystems. Gilbert (1992) points out that the variation in the tendency toward fusion exists in other mammalian species as well, citing Jane Goodall’s observations of chimpanzees at Gombe, where Goodall saw a wide range of differentiation in the species. Gilbert (1992) provides the example of one chimp, Flint, and his mother, Flo. They were so emotionally attached that Flint’s infancy was prolonged. He would always stay close to his mother, never venturing very far away. As Gilbert explains, “When his mother became old and died, Flint, although he was eight and a half years old (an age of independence for most chimps), fell into a state of grief and depression. He died three and a half weeks after her death in the same spot where she had died” (pp. 19-20). The adaptive aspect of fusion is that it represents an attempt to complete the self in adulthood in the same manner that it was completed in the family of origin. Early patterns may be repeated or reacted to in an avoidant way. For example, if one’s earliest relationships were filled with competition, there may be a tendency to complete the self as an adult by seeking out competitive relationships in reaction to the competitive, smothering environment of his childhood. Conversely, a person may become averse to competition and try to submit to the other at any price in relationships. Human beings, like other species, will try to complete the self in relationships to the extent that the individuals feel incomplete by themselves. Concurrently, others in the system will be looking to complete themselves as well. The attempt to build a complete self out of two undifferentiated selves results in a fusion of selves. It is based on the need for attachment, or togetherness, that went unresolved in the family of origin. Fusion, which is an effort to fan the flames of the togetherness force, is accompanied by an anxiety of its own which intensifies the relationship. However, if an individual has developed a more solid basic self, there is less risk that one will compensate for his/her emotional immaturity through fusing with another self (Gilbert, 1992). The triangle is a basic unit of analysis in Bowen family systems theory. It refers to a three-cornered relationship system. Bowen (1978) observed that when tension arises within an unstable two-person relationship system, referred to as the dyad, there is a tendency to recruit a third person or thing into the system in order to reduce tension and to re-establish stability. To detriangulate means to re-direct the energy of the triangle back to the dyad that was originally involved in the conflict or tension. Healthy triangles are composed of person-to-person relationships among all people involved in the triangle. Interlocking triangles refer to a system consisting of four or more people with individuals sharing more than one triangle (Kerr &Bowen, 1988). A child may occupy a position in a parental triangle wherein he/she is pivotal to the stability of her parents’ relationship. He/she may function as a kind of diplomatic messenger or negotiator for the disagreements between the parents. Each parent depends on the child to manage the tension he/she experiences with the other parent. For example, a child may find herself aligning with a parent who is suffering from the effects of the other parent’s substance abuse and/or dependence. In becoming more aligned with one parent, the other parent is left feeling more isolated and alone as he/she is shoved to the outside position. When one is shoved to the outside position, anxiety increases within the outsider. There are many triangles within a given family. Each child occupies a position in the triangle with his/her parents. A parent may be in a triangle with two children. Each parent is in a triangle with his/her parents. One or more children may become relied upon to help raise otherchildren as well.As tension escalates in a family, predictable patterns emerge. Anxiety in a parental dyad, for example, may be re-routed through one or more children. To manage anxiety in a dyad, one partner may turn to substance abuse and or dependence. In a physician’s family, a triangle may also exist which includes the medical workplace as a third leg in a triangle. Anxiety is spread among three instead of being managed between two, decreasing the intensity and making it more tolerable. For this reason, triangles are more stable than dyads and the basic building blocks of relationship systems (Bowen, 1978). Triangles are used to manage closeness/distance forces. When tension is high enough in a triangle, the outside position may be more favorable as the bonds between two become overwhelming (Kerr & Bowen, 1988). Medical couples have a ubiquitous diversion from working out their relationship problems. Work pressures can both cause relationship distress and simultaneouslyoffer escape from facing up to being a self inside of the relationship distress. Excessive involvement in work is one way to avoid resolving marital conflicts, with avoidance being a multigenerationally transmitted pattern of functioningin close relationships. Work demands thus become a convenient third leg of a triangle. However, as anxiety in the system increases, formerly adaptive patterns will become maladaptive. It is at this point that a person who avoids marital conflict may triangle in a substance, in yet another attempt to flee from responsibility for working on tension in the relationship. In the words of one physician, “I really think the reason I worked so hard at my practice, working to be special and needed, was so that I felt I wasn’t alone” (Gerber, 1983). The family projection process refers to the tendency of parents to defuse stress or anxiety by projecting their problems onto their children. The child most attached to the parents will have the lowest level of self-differentiation and have the most difficulty separating from the parents. Bowen (1978) observed, for example, that the more conflictual the relationship between parent and adolescent, the stronger were the forces of fusion within that family. Families that are higher in differentiation more smoothly adapt to change in the system than families with lower levels of differentiation, whether the changes are normal developmental changes or unexpected stressors such as illness (Kerr & Bowen, 1988).The greater the level of the parents’ undifferentiation (defined as immaturity), the more they will rely on the projection process to stabilize their relationship with one another and within the system (Kerr & Bowen, 1988). From Bowen’s (1978) perspective, people have much less emotional autonomy than then they think they do. The concept of the multigenerational transmission process describes the inheritance of the family emotional field through the succeeding generations (Kerr & Bowen, 1988). Physical, emotional, and interactional patterns are passed down through the generations via the multigenerational transmission process (Kerr & Bowen, 1988). This process can graphically illustrate how small differences in the levels of differentiation between parents and their offspring and between members of a sibling group lead, over several generations, to significant differences in differentiation among different lines of the family system (Kerr, 2003). Children develop levels of differentiation of self similar to their parents’ levels as a result of theparents’ actively shaping their children’s development, and from the children innately responding to their parents’ moods, attitudes, and actions (Kerr, 2003). Different siblings will likely develop different levels of differentiation, and the child receiving the greatest degree of anxious focus from the parents will be most vulnerable to symptoms (Kerr, 2005). In fact, the multigenerational transmission process programs the ways in which people interact with others, as well as the level of “self” an individual may develop. Essentially, the multigenerational transmission process includes two critical concepts: The first is that people tend to select spouses with levels of differentiation similar to their own(Bowen, 1978). The second is that through the dynamics of the family projection process, there is a focus on the child who is the most vulnerable or the most emotionally connected to the parents (Bowen, 1978). Thus, through the family projection process, certain children will have slightly lower levels of differentiation than others in their sibling group. Over several generations, severe dysfunction will unfold. One possible outcome, for example, might be severe problems in chemical dependency emerging in one generation and becoming increasingly intense into future generations. Alternatively, the next generation, in reaction to the previous generation’s ordeal with substance abuse, may have low risk for abuse and even be reactively abstinent. The important thing to assess is the relationship between the parents’ relationship patterns with substance/with each other and the next generations’ patterns of relationship with substance/with each other (i.e. how much fusion? Cutoff?). The therapist’s focus on helping the client to identify and interrupt multigenerational patterns of dysfunction should be balanced with a focus on the identification and building upon of multigenerational resiliencies or strengths. In this way, the therapist scaffolds the client coming from an intense system, so that he/she does not feel doomed to repeat the severity of dysfunction discovered within many previous generations (Cunningham, 2006). Both individual resiliencies and family process resiliencies may be identified (see Wolin & Wolin, 1993 for a list of individual resiliencies and Walsh, 1998 for a list of family resiliencies). Bowen (1978) believed that the family birth order, referred to as sibling position, contributes significantly to the development of personality. Because of this phenomenon, he paid close attention to each parent’s sibling position. Bowen borrowed this idea from research completed by Toman (1993). Toman concluded that children take on different characteristics, in part, because of their sibling position in terms of birth order and gender. He noted that children who grew up to marry people who were compatible with the rank and gender they experienced in their families of origin had a better chance at success in their marriage. For example, an oldest sister of brothers would be most compatible with a younger brother who had older sisters. Both partners would feel comfortable with familiar roles. Toman (1993) described characteristics of each birth position. First-born children, for example, might become leaders,high achievers, and highly responsible members of society. At the other extreme, they might become such perfectionists that they find it impossible to meet their own expectations. As such, a firstborn may become an overfunctioner in a reciprocal relationship with a substance dependent partner. Emotional cutoff refers to the process of running away or denying the emotional ties to the family of origin (Bowen, 1978). Emotional cutoff and distancing can be confused with moves of differentiation. Instead, emotionally cutting off behaviors are merely pseudomoves that do not change the intensity of emotional attachments. In fact, one may assume that to the extent that one tries to cut off is the extent to which he/she is fused into his/her family system. Emotional cutoff is a fear-based response or an apprehension that one has lost self in the face of intense fusion. The clinician needs to assess for the extent of cutoff, as this pattern is highly associated with severe symptomology (Kerr & Bowen, 1988). Bowen family systems theory is unique in its emphasis upon the self-development of the therapist. Therapists must continually do theirown work on an increasing their healthy separation from their families of origin while still retaining good emotional connections with the extended and nuclear family systems. Friedman (1991) points out that “Bowen has consistently maintained that it is hard for the patient to mature beyond the maturity level of the therapist, no matter how good his or technique” (p. 138). In fact, as Friedman (1991) explains, “In Bowen theory, the differentiation of the therapist is the technique” (p. 138). In order to maintain a non-anxious presence in the presence of anxiety such as that of a family suffering with an impaired physician, for example, one must have personal boundaries strong enoughto resist fusing into the intense emotional environment. Bowen (1978) saw himself as an objective researcher who helped his clients become researchers into their own ways of functioning. A goal of this therapy is to help the client make a research project out of a life as lived within a multigenerational family system. The focus is on learning more about the family rather than fixing the family problem. A therapist who becomes too eager to “fix it” reflects his/her own reactivity and undifferentiation. As a coach, the therapist asks questions that facilitate the client’s thinking process. Therapy sessions are controlled and cerebral. Family members talk through the therapist, and direct confrontations are avoided to minimize tension and emotional reactivity. Throughout treatment, the therapist maintains an emotionally neutral position. In terms of the unit of treatment, the therapist generally works with the marital dyad, even when the presenting problem involves a child. The belief is that the addition of the therapist to the two-person emotional system will result in changes in family relationships. A Bowen-trained therapist may also choose to work individually with the more mature, differentiated partner for a period of time. The assumption is that when this individual speaks from an “I” position, it will motivate other family members to do the same. A Bowen therapist may also choose to see spouses individually in cases where the couple presents with a level of emotional reactivity high enough to preclude the conducting of a productive dialogue. The overarching goal of a Bowen therapist is to remain in good emotional contact with the clients while resisting the pressure to be triangulated into conflict. The therapist's stance is calm and neutral. This serves to stabilize the dyad. The therapist insists that each person focus on the part he/she plays in family problems. The Bowen therapist’s demeanor should not be misconstrued as passivity. The therapistis respectful and curious. Thought-provoking questions are asked. Bowen-trained therapists frequently call upon clients to think about what theirpart has been in the relational conflicts, and they request that members of the couple speak directly to themin order to prevent emotional exchanges. It is assumed that escalating anxiety expressed in emotional exchanges between family members interferes with the ability to call upon cognitive resources. The use of the family diagram, a graphic representation of at least three generations, is used in the beginning sessions of treatment. It is a tool that helps a clinician to work with a client to identify multigenerational patterns that may be playing out in the current system. Additionally, just taking a family diagram can function to calm people. Knowing facts, identifying patterns of multigenerational emotional process and acknowledging the universality of these mechanisms leads to more objectivity about one’s family. The search for patterns includes looking for triangles that block growth, emotional cutoff, fusion, overfunctioning/underfunctioning reciprocity, substance abuse, divorce, and other ways to avoid managing self inside closeness/distance needs. The clinician is looking to gain a broadening context to clarify details of the functioning of the nuclear and extended family systems. Inquiries as to the quality of marriages during times of tranquility and times of distress are useful. Occupational changes and geographical moves may be understood in the context of what else was going on in the family at the time. A client’s perceptions of family and individual strengths may be noted. Illness may be an expression of increased emotional intensity occurring in the system and may be a ripple effect, for example, of the death of an important family member. Such events are viewed as nodal events, often marking a turning point in the family (Papero, 1990). Marriages, births, deaths, divorces, moves, and problems with the abuse and dependency upon substance may be closely related to events in the nuclear family (Papero, 1990). Emotional shock waves (Bowen, 1978) from the death of an important family member, for example, may create a cascading chain of events in nuclear families that are seemingly unrelated to the disturbing finding of impairment in a physician in the family. Upon closer examination, these events may be the result of developmental failures in the individual or family life cycle and/or reactivity in more than one family member. In constructing the family diagram, it is important to ascertain the members of the family who greatly influence others as well as those members who are peripheral. All triangles are assessed carefully, as they are the basic units of the system (Bowen, 1978). Assessing for emotional cutoffs in the family of origin is a crucial piece of diagnostic information. Cutoffs from each partner’s family of origin increase the pressure for togetherness in the nuclear family. Cutting off a relationship by physical or emotional distance does not end a fused emotional process. To the contrary, it intensifies it. Therapists explore the context into which each child is born. They wonder about what was going on during the pregnancy, as well as immediately before conception and after birth? What is the relative position of each child in relation to his/her parent? The overarching concept behind family diagram construction is that events and changes in a family do not occur in a vacuum (Papero, 1990). It is important to learn about the frequency and nature of contact that the nuclear family has with the extended family (Papero, 1999). The clinician’s effort in collaboratively creating the family diagram is to embody the attitude of a warm, respectful, and objective researcher (Papero, 1990). The point of creating the diagram is not to “do something” with any bit of information. Instead, each fact leads to further inquiry and a clearer view of how each person fits into the patterns and events of the family. The goal is not to find answers, but to keep asking questions that invite other questions (Papero,1990). In the creation of the family diagram, the clinician models an attitude of curiosity.Together, the client and therapist put together an ever-broadening picture of how the family has evolved over time. Clients are honored as experts on his/her own family system, and the emphasis is upon asking who, what, where, when, and how questions. There is an avoidance of why questions, as such questions imply blame. For examples of family diagrams with the appropriate symbols explained, see pp. 307-312 in Family Evaluation (Kerr & Bowen, 1988). Readers may also peruse family diagrams of famous people to increase their understanding of how to properly use this valuable assessment tool in You Can Go Home Again (McGoldrick, 1995). It is not possible to explain the multi-layered complexities of Bowen theory within the framework of an entire volume, let along the limitations of a single chapter (Friedman, 1991). Because Bowen posed concepts that are interlocking and cannot be considered apart from one another, the theory requires clinicians to keep their eyes trained consistently on circular causality. Bowen theory is fundamentally not about families per se, but about life (Friedman, 1991). Diverse populations all share the reality of multigenerational emotional processes, processes that struggle with management of togetherness and separateness forces. Thus, whatever the difference among special cultures, diverse populations may be considered as different spices in the soup of life. Bowen emphasized the idea that humans have more in common with other forms of protoplasm than differences (Friedman, 1991). Other theories focus upon differences. Such a perspective, according to Bowen (1978), decreases objectivity about, and even increases denial of, what really drives human behavior and motivations. Bowen theory is rooted in the assumption that the human species is part of evolutionary emotional processes that may be traced back to the beginning of life. Therefore, when a clinician views a family, he must consider the fact that the opposing forces for togetherness and separateness reflect the degree of reactivity in the evolving system. The more reactive a family is to forces of closeness and separateness, the more likely that symptoms will appear in one or more individuals in the system. Also, one may assume that a family that has a high degree of emotional cutoff is most vulnerable to serious problems such as chemical dependence. Finally, if it is assumed emotional process is evolutionary, families that contain high degrees of emotional cutoff may be farther along in an emotional regression that is generations deep—a regression that is caused by reaction to intolerable degrees of fusion or togetherness passed on from previous generations. The work in the differentiation process is to help clients get more objective in an effort to get a bit more outside the emotional forces dominating the family. Increased differentiation, as explained earlier, involves being able to remain connected as much as it involves being separate self. Bowen (1978) once said, “Schizophrenia is in all of us.” This comment epitomizesBowen’s consistent effort to make continuous what other theories tend to dichotomize (Friedman, 1991). His idea that the family is the preferred unit of treatment places emphasis upon the emotional forces shared by all families. Similarly, it significantly decreases the importance of which family member is the symptom-bearer. Friedman (1991) explains, “The unity of perspective turns the therapeutic endeavor of promoting differentiation into a broad-spectrum antibiotic that may be applied to any family no matter what its nature or the nature of the ‘dis-ease’” (p. 137). Thus, from the perspective of Bowen, it has no meaning to ask what unit of diversity a clinician is treating. Similarly, whether one sees couples, individuals, or families is irrelevant. The same focus on universal, systemic factors is the crux of the focus rather than a focus on specific problems. Most importantly, Bowen theory eschews techniquism. The clinician’s efforts to work on increasing his/her own level of differentiation over the life course and the level of differentiation of the clinician determine the success of treatment. The physician who may be vulnerable to chemical dependence likely handled the emotional attachment to his/her parents, and especially to his/her mother, by denial of the attachment and by a pseudo-independence or false bravado (Bowen, 1978). This child would insist that he did not need the parent. “I can do it myself,” was his/her rallying cry. During the adolescent years, for example, such children would be more defiant than children less fused with their parents (Bowen, 1978). In more differentiated families, parents and teenagers are calmer as the adolescents work towards separation. In fact, in the healthier family, there is greater flexibility and adaptation to change as members pass through normal and abnormal stages in the individual and family life cycles (Bowen, 1978). Bowen posited that all of us have a fairly intense level of attachment to our parents. It is not the level of intensity that is salient in the case of impairment. Instead, it is the manner in which the attachment is handled that is important. The posture of a physicianwho spends a lot of his life energy denying his/her attachment to his parents (and later to his spouse) may be able to function quite well for a long time. His/her functional level of differentiation may appear to be quite high, as he/she excels in medicalschool and later, in his/her profession. This person is overly responsible to others and, in many respects, has such high standards that they are impossible to maintain over time. He/she continues to assume the pseudo-independent posture in his/her nuclear family. Spouse, children, and society participate in reinforcing this posture by developing the expectation that the physician upon whom they depend will continue to function at an impossibly high level. Sadly, unrealistic self-expectations and an extreme sense of responsibility seriously compromise the overfunctioning doctor’s quality of life. In denying his need for others and keeping up a pseudo-independent posture, he/she becomes increasingly isolated from his/her family. The children and the spouse play a part in keeping the homeostatic balance within the family system. As the physician feels increasingly burdened, the loneliness and isolation intensity. It is at this point that he/she may become most vulnerable to developing a relationship with alcohol or drugs, especially if this pattern has been prevalent in past generations. At the opposite end of the spectrum of attachment patterns is the physicianwho is symbiotically attached to his/her parents, and especially to his/her mother. This individual is so merged with his/her parents that he/she is unable to function independently in the world. In the emotional fusion with a mother who had a low level of differentiation of self, the doctor was de-selfed. He/she uses the defense of denial to avoid facing the depth of his/her need for the mother. This intensity of denial of need replicates in his subsequent marriage(s). As Bowen (1978) explains, this type of individual “. . . collapses into drinking early in life, while loudly affirming his independence and his continuing, ‘I can do it myself’ posture” (p. 265). Bowen identifies these individuals as having the poorest prognosis for permanent recovery from substance abuse. He calls them the social outcasts, whose need for emotional closeness is so overpowering that they must go to extremes to deny it. He refers to them as “dysfunctional refugees from the family relationship system” (p. 265). Because they run from their families of origin, they will continue to run from their spouses. The spouses, who are similar in level of differentiation from the impaired member, can predictably be expected to play a reciprocal role in the alcoholic or drug addicted dysfunction. As noted earlier, people marry people with similar levels of differentiation of self. While they may present as opposite ways of dealing with stress, they maintain the stability of their relationship by playing out both sides of the coin of togetherness/distance forces. Conflict, overfunctioning/underfunctioning reciprocity, and a degree of projecting their problems onto their children are patterns usually used in some combination by the medical couple who is threatened with attachment fears. The pattern of one partner adapting or giving in to the other spouse is the salient pattern in problems with alcohol or drug dependence (Bowen, 1978). Both spouses usually believe that they are the ones who are giving in to the other the most. But it is the one who is, in fact, most accommodating that loses an increasing level of self and then becomes vulnerable to the development of a problem with chemical dependence. In the recovery process, the de-selfed spouse will regain more of his/her functioning self. 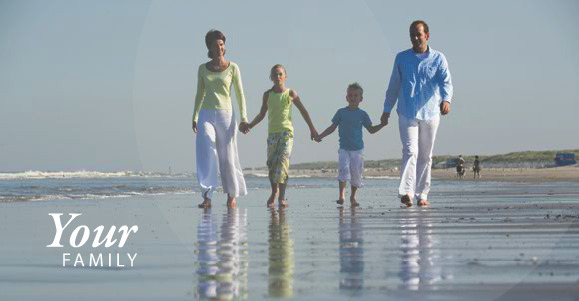 Bowen family systems therapy offers the impaired physician family a set of principles for understanding the underlying connections among people that create predictable patterns of interaction in the family’s emotional process. It is a therapy that pushes the distressed medicalfamily to broaden their lens from seeing only a particular symptom such as alcoholism. Instead, the family is called upon to view the symptom in the context of the wider relationship system and in the context of the natural world of emotional patterns of which humans are a part. From the perspective of this theory, no matter what the symptom is that appears in the family system, the treatment is always the same. The family is directed to look at the ways in which tension in relationships has been avoided and coached to begin to confront the tension. The family learns that if avoidance of relationship pressure continues across the generations, the risk and severity of symptoms intensifies with each generation to come. The emphasis is upon process rather than upon content or the nature of the symptom. In contrast to other orientations, a key advantage of Bowen family systems therapy is that it works well with individual clients in a systems context. Symptoms de-pathologize the identified patient, in that emergence of symptoms are always connected to something else going on in the system. This means that every member of a family is called upon to take responsibility for their part in maintaining the problem. In order to do this, families must explore and learn to identify their nuclear and extended family systems’ evolutionary parade of patterns. In this way, families have the opportunity to interrupt in their own time unhealthy behaviors for themselves and for future generations. From the perspective of Bowen family systems therapy, alcoholism and addiction are viewed as a human condition that is an outcome of family relationship processes across generations. In this sense, the drinking or drug problem is not viewed as a disease residing in the individual who is impaired or in his overfunctioning partner. Instead, the anxiety-binding mechanism of chemical dependence is explored for how it functions in a misguided attempt to manage relationship tension. The therapy, in fact, becomes a motivational force that calls upon the family to research the family emotional system from which they emerged. When the symptom of alcoholism or drug addiction is seen as one of many ways that people bind anxiety, the focus upon one person and the tendency to blame diminish. The anxiety of the system is bound in the symptom, and coaching people to let go of the symptom pushes them to redirect the anxiety where it belongs: inside the relationship system. If only one person in the system functions differently, the entire system can be rearranged. The family is coached to develop greater strength in their collective “emotional muscle.” Clients’ work of going home again is likened to achieving greater fitness akin to a workout in a gym. Fitness is defined as tolerance to stay the course in relationships, without rushing to cut off or deny the fact of one’s own interdependence. It is also defined as the ability to be a self with a core set of non-negotiable principles, even in the face of pressure from a loved one to conform. Like all other families, families with an impaired physician struggle with underlying relationship issues. The problem is not the substance, but rather how severely relational tensions go unaddressed. When family members relate through drinking or through drug abuse, they are attempting to regulate emotionality and attachment to important others in the family. The medical family’s handling of neediness through dependency and caretaking, through cycles of distance and closeness, and/or through overinvestment in the needs of others such as children, need to be explored in treatment. Alternative ways of handling interdependency needs should be identified and considered. Calling upon the physician and his/her family to think about the relationship system rather than the defined problem of chemical dependence opens up the possibility of increased freedom to explore the complexity and richness of a family’s emotional process (McKnight, 1998). Treatment should pose several questions worth exploring with the family unit and for the clientto explore on his/her own between sessions. ·Can the family shift from viewing the alcohol or drug impairment as an individual problem to viewing the impairment as a family problem? ·Can the family come to view the impairment as a disguised opportunity to allow members to understand their relationship system rather than as a disease to be cured in an individual? ·How do people in the family hold on to their personal boundaries? ·How do family members manage to stay connected? ·How do people play out underfunctioning and overfunctioning reciprocal positions in the family? ·What is the maturity level of each person? Of the system? ·What new directions could people take in an attempt to make more thoughtful and less reactive decisions in a family? ·What patterns can each member of the marital unit identify as coming from their respective families of origin, and how do they think about these patterns? ·How are these family of origin patterns being replicated and/or reacted to in the nuclear family? ·In what other ways do people in the family system bind anxiety in addition to substance abuse? ·How do people think about their sibling roles and position in their primary triangle with their parents in their families of origin, and how are these roles related to thoughts, beliefs, and behaviors in the nuclear family? researcher. The reader is directed to her book entitled You Can Go Home Again: Reconnecting with Your Family for a useful list of such questions at the end of each chapter. The idea is to learn wherever and whatever you can, because it may become apparent that a certain piece of information will help you connect pieces of the jigsaw puzzle in a way that creates a clearer picture. Opening up the family’s communication system strengthens the family (Bowen, 1978; Walsh, 1998). Guiding a client in his/her effort to gather collateral information from various family members builds an individual’s identity within the system. Also, it reduces polarizations, eliminating the notion that people must be assigned labels of “saint” or “sinner.” In family systems thinking, there are no saints or sinners; instead, there are reciprocal family processes that serve a function to maintain the equilibrium of the system. Chemical dependence has been defined by other theoretical orientations as a problem that resides in the individual. In place of the disease model of alcoholism and addiction, a broader, contextual interpretation of this pattern of binding anxiety is offered here. The Bowen-trained clinician who treats the medical family suffering from substance-related impairment coaches its members to change themselves rather than the alcoholic or addict. Theory leads the clinician to know that a push to change the impaired physician may exacerbate the problem and deny the family a remarkable opportunity to grow and develop in a healthy way. A therapy based on the set of interlocking concepts and principles put forth by Bowen (1978) guides the family with an impaired physician to push forward. It calls upon the family to move into increasingly anxious environments, with an effort to assume greater responsibility, make meaningful connections, while at the same time, holding onto one’s individuality in the face of group pressure to conform. Successful therapeutic outcome also means that clients increase their toleration to hold ambiguity and tolerate opposites. The development of this mature attitude is in keepingwith thewisdomof an old Japanese proverb, which reminds us that every reverse side also has a reverse side. By learning to appreciate the contradictory nature of life, clients may come to believe that even their worst day can, in a sense, eventually be looked upon as their best day. Therapists treating families from this orientation offer a set of concepts to begin a lifelong exploration of family relationship patterns. Family members are increasingly ableto broaden their focus, and in so doing, move differently in their relationship triangles. Instead of looking at the football game at the fifty-yard-line, family members are coached to watch how the game looks at the top of the bleachers. Bowen family systems therapy invites clients to develop a heightening respect for the profoundly interdependent nature of family emotional systems. They begin to identify and recognize nodal events that may have generated ripple effects or “emotional shock waves”(Bowen, 1978) in the history of the family. It calls upon family members to identify and then to evaluate the efficacy of emotional patterns of their ancestors that reappear in themselves. By embarking upon this journey across time, the impaired physician and his/her family may triumph in the face of tragedy. They may begin to define a responsible direction in their lives as they learn to think differently about human relationships (Gilbert, 1992). Such an effort insures that if people struggling with adversityremain true to the course of exploration and fact finding, they may emerge with “survivor’s pride” (Wolin & Wolin, 1993). Clients treated within this model develop a heightened appreciation for the notionthat increasing their differentiation is a lifelong process. They learn that this process is aimed atimproved managementof togetherness and individuality within themselves and as they navigate theirrelationships. Clients also learn that continued work on differentiation positions them to achieve greater maturity, regardless of the myriad dilemmas and stresses that life places in their path. Indeed, the problems of the impaired physician family, like the problems in all families, presents a challenging opportunity for everyone in the system to grow, flourish, and leave a healthier legacy to future generations. The impaired physician jeopardizes the safety of society. When trusted stewards put shipwreck after shipwreck on the shore, they damage their patients, their families, and themselves. Numerous studies underline that the problem of the impaired physician is one of immense proportions. Flagrant examples of physician impairment are instances of alcoholism and drug abuse. As always, the existence of the symptomatic few points to the unmet needs of the many. For each clinical case of domestic violence, for example, there are many who are battered. For each case of malnutrition, there are many malnourished. For each case of physician impairment, there are many unreported doctors practicing under the influence of substance. To draw attention to the reductionistic and linear view of chemical dependence promoted in most treatment programs is a beginning. Indeed, a close relationship exists between the condition of physicians’ personal lives and how they practice medicine, a relationship that is mediated through their lifestyles. Contraindications for traditional, linear-based treatments for substance abusing-physicians include suicidality, severe depression, severe anxiety, broken marriages,distressed children, and the eruption of other symptoms in the family. This is because a shift in the family creates anxiety (McKnight, 1988). When the chemically dependent person has stopped using, the strain in the family is an indication of how the family’s anxiety was absorbed by its anxious focus on the substance abuse. By becoming preoccupied with the chemically-dependent member’s problems, family members do not have to manage the issues and dilemmas of their own lives and within their relationships (McKnight, 1998). Perfectionism, and its Achilles heel, the fear of failure, grow and thrive in the relationship systems of the physician’s family and of larger society. Doctors are held, and for the most part, hold themselves, to extremely high standards of performance. It is by their hard work in training and practice that they earn the right to be held in high esteem. It is believed that they should be at a peak of professional proficiency and emotional maturity. The rewards for such achievements are high status, admiration, and economic advantage. However, the lapse in chemical dependence sends thephysician family into despair, failure, and disgrace. Bowen family systems therapy, with its emphasis upon the lifelong nature behind the work of increasing one’s level of differentiation, offers a counterstrategy to a problem that affects the family and the whole of society. In paying attention to the emotional health and well being of the entire medical family, second order change becomes possible. critiques. Toronto: University of Toronto Press. Bowen, M. (1978). Family therapy in clinical practice. Northvale, NJ: Jason Aronson. York: John Wiley & Sons. Alliant International University, San Diego, CA. medical marriage. JAMA, 261, 2378-2381. Interactions. New York: John Wiley & Sons. of Natural Systems Thinking in Psychiatry and the Sciences, 1, 57-66. Journal of Medical Psychology, 64, 317-329. Bowen Center for the Study of the Family. Kerr, M. E. (2005). Why do siblings turn out differently? Manuscript in preparation. Kerr, M. E., & Bowen, M. (1988). Family evaluation. New York: Norton. prevention (2nd ed.). Gaithersburg, MD: Aspen Publishers. Mann, G. A. (1991). History and theory of treatment for drug and alcohol addiction. In N.
1212). New York: Marcel Dekker. York: W. W. Norton & Company. (pp. 877-888). New York: Marcel Dekker. Papero, D. V. (1990). Bowen family systems theory. Boston: Allyn & Bacon. Robb, N. (1998). Teaching on addiction issues lacking in medical school, specialists told. Canadian Medical Association Journal, 158, 640-642. Talbott, G. D. (1987). The impaired physician: The role of the spouse in recovery. Journal of the Medical Association of Georgia, 76, 190-192. Toman, W. (1993). Family constellation. Northvale, NJ: Jason Aronson. Twerski, A. J. (1982). It happens to doctors, too. Center City, MN: Hazelden. vulnerabilities of physicians. New England Journal of Medicine, 287, 372-375. Walsh, F. (1998). Strengthening family resilience. New York: The Guilford Press. rise above adversity. New York: Villard. A Family Systems Treatment for the Impaired Physician by B. R. Cunningham. Note. 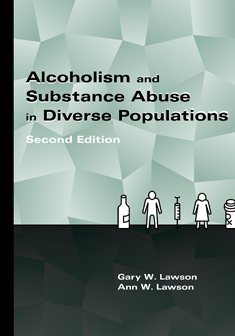 From Alcoholism and Substance Abuse in Diverse Populations, Second Edition (p. 301-324), by G. W. Lawson and A. W. Lawson (Eds. ), 2011, Austin, TX: PRO-ED. Copyright 2011 by PRO-ED, Inc. Adapted with permission. Further reproduction is prohibited without permission of the publisher.